The consumption of cement in Kenya has dropped to 1.4 million tonnes in the second quarter of the year. This is according to report from Kenya National Bureau of Statistics (KNBS), which states that the drop was majorly due to a persistent slowdown of activity in the real estate sector. National cement consumption stood at 1.5 million tonnes in the first quarter of last year, continuing a losing streak that persisted throughout 2017. The decline in consumption was also manifested in the 15.7% drop in the volume of imported cement and the 8% decline in importation of cement clinkers in the three months to March. The report further states that the volume of imports of construction materials such as iron and steel bars, and rods declined by 4.9% during the quarter in review. Despite the building of mega public infrastructure such as the Standard Gauge Railway (SGR) that is now in the second phase covering the Nairobi to Naivasha segment and other mega buildings in Nairobi, the decrease in cement was still experienced. KNBS, however notes that the overall industry performance has factored in SGR consumption; the decline may have been bigger without the large public sector consumption. “The sector’s growth albeit slower than that of the corresponding quarter of 2017, was driven by the ongoing public infrastructure projects such as roads and phase two of the standard Gauge Railway (SGR) as well as the continued development of buildings,” said KNBS. Several things have been experienced as a result of the decline in cement consumption including some cement-making firms listed on the Nairobi Securities Exchange reporting fewer earnings forcing them to shed jobs. 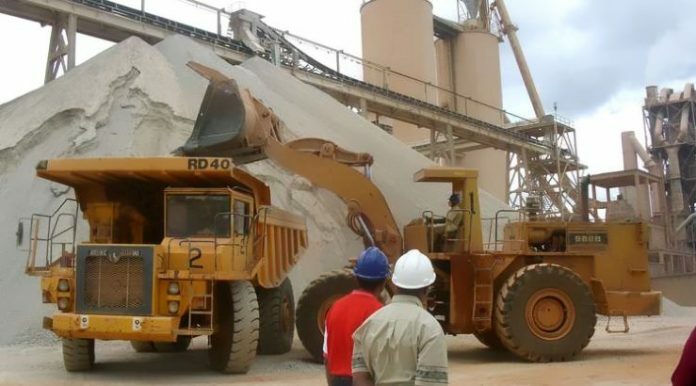 Cement maker Athi River Mining shed over 700 jobs last year as it sunk into a US $65m loss and a negative working capital position that saw its auditors cast doubt on its ability to continue as a going concern. Also, East African Portland Cement posted a US $15m loss, the first since 2014 while market leader Bamburi Cement saw its profit shrink by a third to US $20m making it the first time since 2013 that the company failed to grow its bottom line.